The study of microbes has been critical in our current understanding of basic biological processes, evolution, and the functions of the biosphere and has contributed to numerous fields of engineering. Microbes have the amazing ability to grow in extreme conditions, to grow slowly or rapidly, and to readily exchange DNA. They are essential for life as we know it, but can also be agents of disease. They are instrumental in shaping the environment, in evolution, and in modern biotechnology. They are amenable to virtually all modern approaches in science and engineering. Microbes provide natural engineering laboratories for creating new capabilities for industry (e.g., pharmaceuticals, chemicals, energy), and are the foundation of pioneering efforts in synthetic biology - i.e. building life from its component parts. 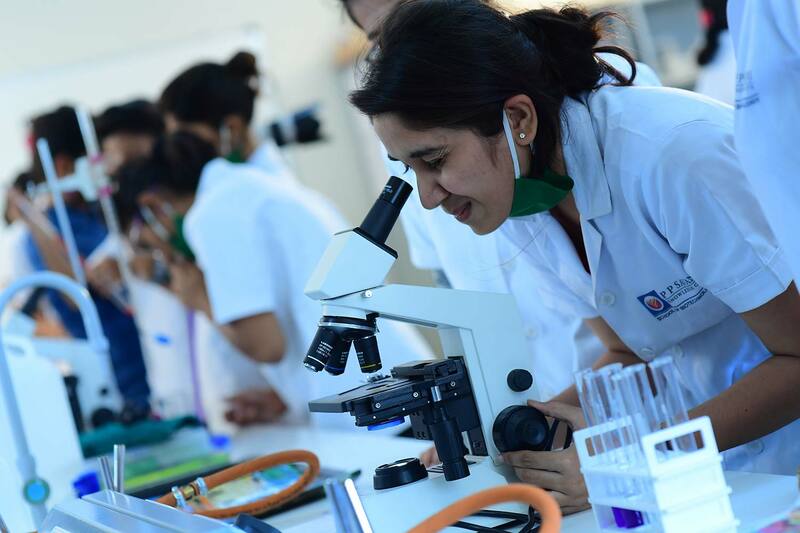 In the Microbiology degree program at P P Savani University, students will study microbes at a cellular level and learn about their interactions with higher organisms, including the way in which microbes cause disease. The B.Sc. program will give students an understanding of the basis of immune recognition and vaccine design - infectious diseases and methods of control - microbial biotechnology, and parasitology. Students will also develop an understanding of the importance of microbiology in environmental, agricultural and industrial settings. Microbiology is a discipline of enormous importance and research in this discipline has been revolutionized by new and exciting technologies such as proteomics, genomics, bioinformatics and genetic engineering. Microbiologists suit for jobs in the area of Medical microbiology, Agricultural microbiology, Industrial microbiology, Food and Dairy microbiology and also in Marine microbiology. Microbiologists who choose this degree pathway are highly sought after by employers as they have a broad range of skills. This enables them to be highly adaptable employees, capable of working in a wide variety of settings, whether in academic roles or in industrial and government organizations.